where the elegant gather in glamour-crowded corridors. fails to shine any light at all. 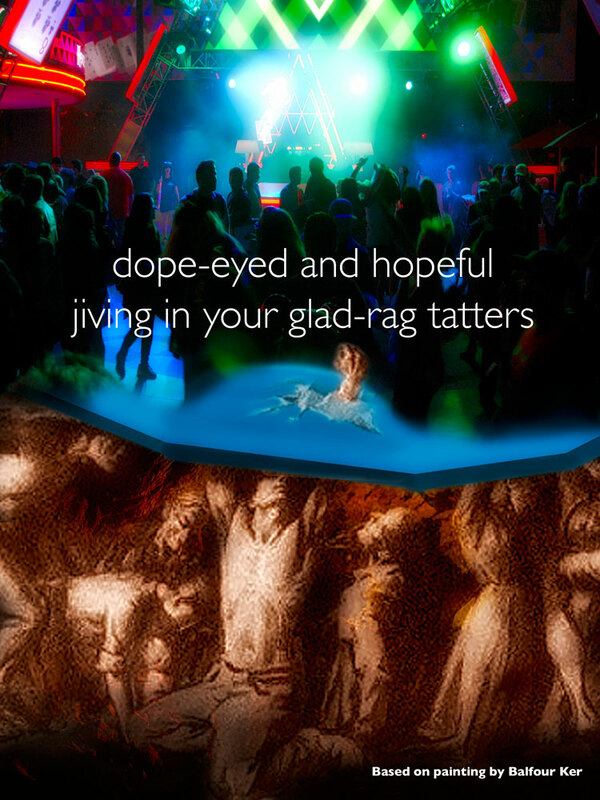 dope-eyed and hopeful, jiving in your glad-rag tatters. blinded by the glory dazzling in your eyes. and the fasces’ bundled sticks are never seen to beat. be sure that nothing you could ever do will make you free. where slavery comes with benefits but is slavery all the same. Brian Hill. 50 years a poet. One-time designer and film-maker; long ago, the rhyme-slinger, cartoon cowboy, and planetarium poet; now feverishly stringing words together in the hope of making sense.